Clinical trials are not working well enough to serve the needs of the industry or the patient. It is time to analyse what we are doing currently and look at how we can transform clinical practice through collaboration, innovation and enhancing quality. We need to examine strategies to drive forward clinical trials for the better in order to deliver the best outcome for patients. 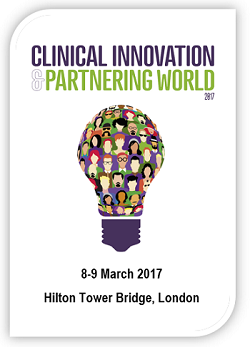 Clinical Innovation & Partnering Congress provides the perfect platform to do this, with insight from the pioneers who are driving clinical transformation. Discover new technologies and processes that offer viable and transformative solutions to universal clinical research hurdles.